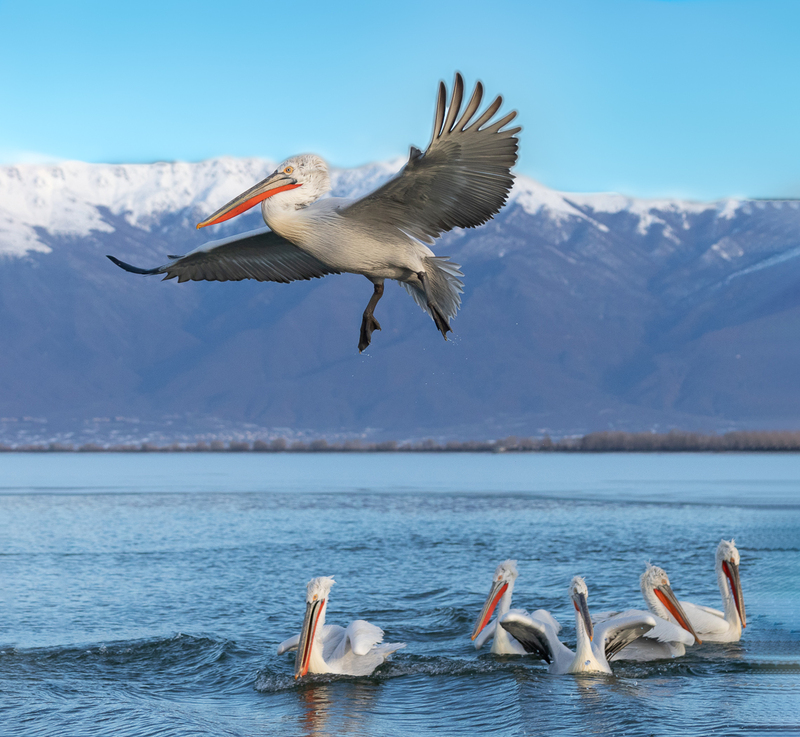 In January 2019 I travelled to Lake Kerkini in Greece to photograph the amazing Dalmatian Pelicans that winter there on the lake. The weather conditions and light for the whole week were amazing and i left with over 15000 images. I took this particular image because I liked the detail on the body and wings of the pelican. 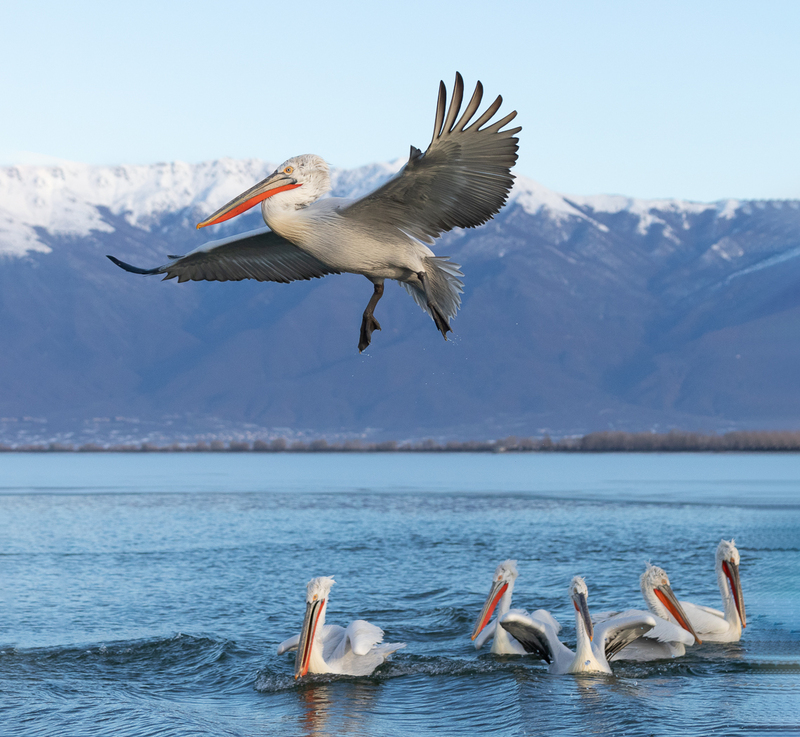 I also liked that the pelican in flight was shown in context with the scenery and other pelicans floating on the water. 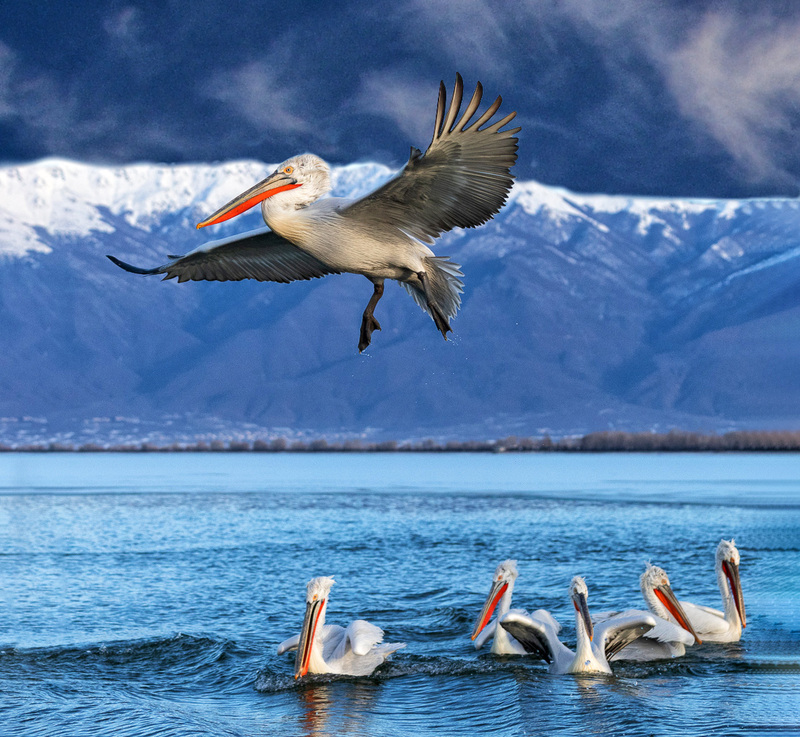 In PP i have lightened the wings slightly and extended the canvas a little, mainly to give more space for the pelican to fly into on the left and on the right to create a little more space for the floating pelicans. Terri, welcome! You did an amazing job catching the flying pelican with the other five below. The positioning of the birds (both the one flying and the five on the water) makes an excellently balanced composition. Very nicely done. Terri, which post processor do you use? If it's Photoshop, the process is fairly straightforward but a bit tedious. One way would be to select the sky the cut the selection onto a new layer. Then, use the camera raw filter to enhance that layer. Here's a very rough example of how it might look.